A triple IPA? Is that even possible? How does that work? The easy answer: more hops, more grain (way more). Lambda is not a 90s East coast malt bomb. 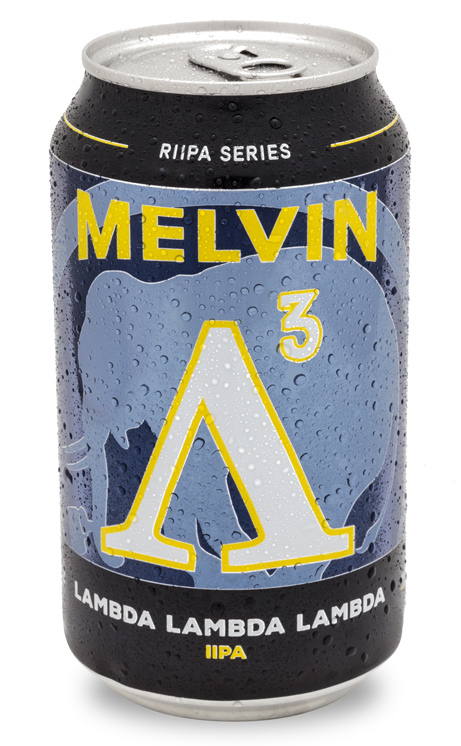 Melvin makes beer from the future. This beer is made on the West coast of Wyoming and has hops for days. Citra, Lewis, Chinook, Amarillo, Gilbert, Columbus, Takashi, Mosaic, Simcoe, Lamar.